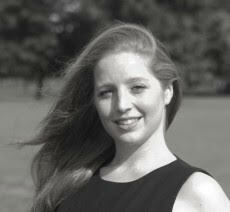 Lucy Rayner B.Ost MICO obtained her Bachelor of Osteopathy degree in 2005 from the British School of Osteopathy. Lucy’s special interest is in how Osteopathy can aid those with experiences of emotional and physical trauma, and stress, identifying emotional issues which may make recovery from physical issues more difficult. Since 2005, Lucy has worked with multiple specialisms in General, Paediatric and Family Osteopathic Medicine, and in Sports Medicine and Pitchside Medical Care for Chingford Rugby Club and Newham & Essex Beagles. Lucy continued her postgraduate studies at The Institute of Classical Osteopathy with clinical residence at the London Centre for Classical Osteopathy, and has gone on to further postgraduate training in Pregnancy and Obstetrics, and Paediatric Osteopathy with the Foundation of Paediatric Osteopathy, with a further clinical residence at the Osteopathic Centre for Children. Lucy is registered with The General Osteopathic Council (GOsC), and The Institute of Classical Osteopathy (ICO), and is a member of the Institute of Osteopathy (iO) and Osteopathic Sports Care Association (OSCA).